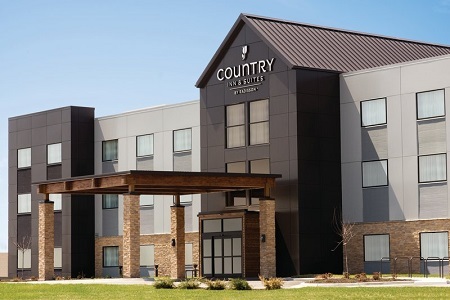 The newly built Country Inn & Suites® by Radisson, Lawrence, KS offers easy access to colleges, event venues and shopping destinations. Tour The University of Kansas or Haskell Indian Nations University, attend the Douglas County Fair, and then do some shopping in historic downtown Lawrence. 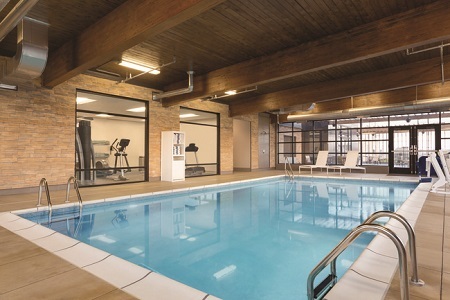 After a day of exploring Lawrence, you can relax in the indoor pool or enjoy a snack in the comfort of your room. 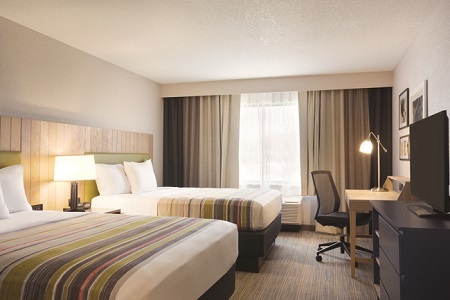 Each of our rooms provides a microwave and a refrigerator as well as free Wi-Fi. For guests craving more space, our King Suite provides a seating area with a sleeper sofa. 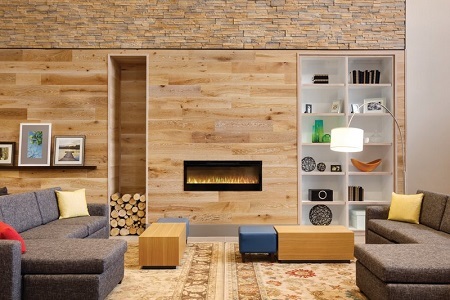 This spacious suite can also include accessible features upon request. 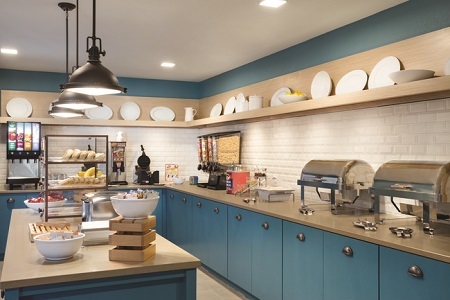 Wake up each morning to a free, hot breakfast at the Country Inn & Suites. Linger over a waffle and eggs, or enjoy a quick meal of yogurt and cereal. If you need a mid-morning or mid-afternoon snack, you can stop by the Inn Case MarketSM for a soda and a sweet or salty treat. For lunch and dinner, walk or take a short drive to one of the many restaurants near the hotel. Jin Shan Buffet offers Chinese classics, while Tres Mexicanos serves south-of-the-border favorites like tacos, fajitas and enchiladas. Douglas County Fairgrounds – Located less than a mile from the hotel, the Douglas County Fairgrounds host a variety of events in addition to the annual county fair. If you’re lucky enough to visit during fair season, don’t miss the pie contest, the prize-winning livestock on display and the thrilling rides. The University of Kansas – This public research university serves more than 25,000 undergraduate and graduate students. Drive just 3.5 miles to take a campus tour or cheer on the Jayhawks as they compete in basketball, football, soccer and volleyball. Historic Downtown Lawrence – Though many of the buildings are historical, the entertainment opportunities in downtown Lawrence are distinctly modern. Travel less than four miles to browse dozens of stores, enjoy a meal at a local restaurant or tour a variety of art galleries. Our 775-square-foot meeting room, conveniently located near the Douglas County Fairgrounds, East Hills Business Park and Lawrence VenturePark, can accommodate up to 70 guests for conferences or social events. Arrange the tables and chairs to best meet your needs, bring in your own food and drinks to set up in the designated area, and rent a projector and screen for a smooth, efficient meeting.